Pinterest is a good place to go when you’re searching for redecorating ideas. 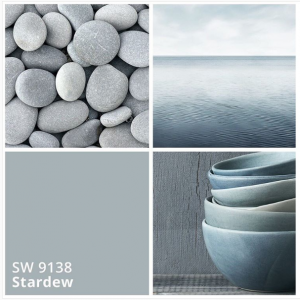 What you’re going to find all over the visual social media platform this month is a calming shade of grey and blue mixed together. It is called Stardew and was launched by Sherwin-Williams suppliers earlier this month. The specialists in decorations picked up the trend fast and we already could find some recommendations for an interior decor based on the new Stardew color.